You must start by recording the best quality audio that you can. Only then will you be able to improve the audio by editing. Typically audio editing is more about removing unwanted audio than it is about making the audio sound better. NOTE: As always, we are assuming that you are not a professional video production company nor do you have the budget of a large video production product. We assume you are using mostly technology that you have already around you. We will just add a few items to help otpimise your current equipment. The process of editing audio is often called post production. This is where you tidy up the audio so that it sounds even better and remove unwanted noise, words and sounds. The ideal scenario is where you have quality audio recorded to begin with, then apply some techniques to master the audio ready for delivery with the video or as an audio track. Editing out noises that appeared during a narration of some course content. The software you use will depend on your experience and the requirements of the recording. Here are some options with the pro’s and con’s of each. Logic Pro X is a professional audio editing application. 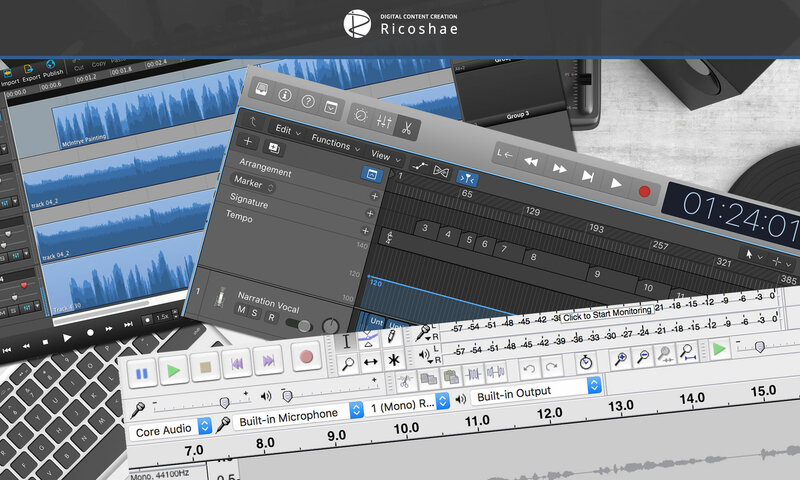 It is used by musicians and many other audio professionals but it can be used for course audio creation. Hindenberg is aimed at radio but it has some great features that make it extremely useful for audio editing. There are many other software options. The best software for you to use is one you are most familiar with, otherwise try one of the suggested applications above. Go forth and make quality audio, your student will love you for it.